It is reported that Cherokees were used in the message relaying capacity until the end of WWI. The Cherokee men who served in this heroic role did so even before they held American citizenship and, consequently, the right to vote, which was not granted to most Native Americans until 1924. This year marks the 100th anniversary of the end of WWI in 1918. Recently, the Intertribal Council of the Five Civilized Tribes passed a resolution honoring the warriors and code talkers of WWI with a “Day of Remembrance” for their service and valor. Veterans from the Cherokee, Choctaw, Chickasaw, Creek and Seminole tribes have served in every military branch and in every U.S. war. Today there are thousands of Cherokee veterans around the world. Native Americans, Cherokees in particular, have a longstanding history of serving the military at a higher rate per capita than any other ethnic group, according to the U.S. Department of Defense. We salute and celebrate these individuals who have given so much. 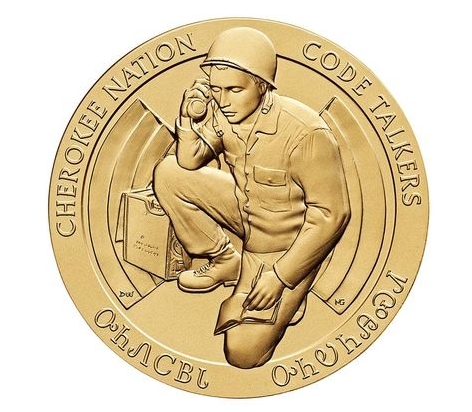 Responses to "World War One: Remembering the Service of Cherokee Code Talkers"
I think you may want to look at the photos here. Then contact me by email, please. These men went to their graves with their secret and have been dishonored enough by the country they fought to protect. My Dad left his book behind, and I posted photos here. Please look. Wado. Sorry, here is the link. Dad left this with his USMC badges, his USMC Kepi hat and this book with his handwriting. It is bound in steel that would probably turn a bullet. https://m.facebook.com/Native-American-Codetalkers-878714122271152/?ref=bookmarks Enjoy! Questions are being raised on FB concerning the title. 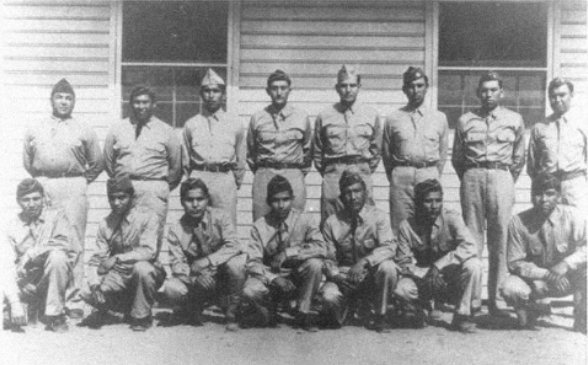 Weren't the 'code talkers' unique to WWII?